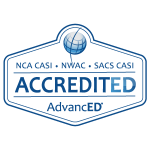 (Cooper City, FL – Aug. 3rd, 2015) – Cooper City Christian Academy announced today that they have earned accreditation from the Southern Association of Colleges and Schools Council on Accreditation and School Improvement (SACS CASI), an accreditation division of AdvancED. This action was taken at the AdvancED Accreditation Commission meeting held on June 25th, 2015. “Accreditation demonstrates to our students, parents and community that we are focused on raising student achievement, providing a safe and enriching learning environment, and maintaining an efficient and effective operation staffed by highly qualified educators,” stated Executive Pastor Paul Volan. Dedicated to advancing excellence in education through accreditation, research and professional services, AdvancED is the world’s largest education community, serving and engaging 30,000 public and private schools and school systems in more than 70 countries and serving over 16 million students. AdvancED is the parent organization of the North Central Association Commision on Accreditation and School Improvement (NCA CASI), Northwest Accreditation Commission (NWAC) and the Southern Association of Colleges and Schools Council on Accreditation and School Improvement (SACS CASI). 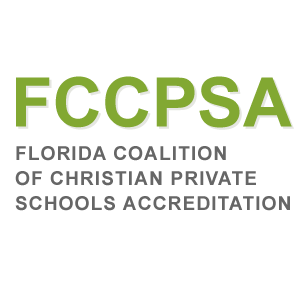 The FCCPSA grants accreditation to qualified Christian private schools, issues Certificates of Accreditation / Inspection for faith-based child care facilities. In addition the FCCPSA publishes Administrator Manuals, provides training, resources, legislative updates, activity insurance, testing and fellowship for educators throughout the state of Florida. From Deuteronomy 6:5-7 and Proverbs 22:6 in the Old Testament to Ephesians 6:4 in the New Testament, God repeatedly gives direction to the parents on the academic, moral and spiritual education of children. Our mission is to encourage and help in the development of the Christian Traditional and Non-traditional Private Schools throughout the State of Florida for those who have chosen to educate their children under the authority of a private school rather than registering their children under the superintendent in their County. It is the parent’s decision where the teaching takes place, whether at the school’s physical location or at the parent’s home.